Does WikiLeaks damage the brand image of wikis? Over the past few weeks, the world has been consuming the newest set of revelations via WikiLeaks. The uproar caused by the release of the first set of diplomatic cables from a batch of 251,000 in WikiLeaks’ possession is enough to take your breath away. A disclaimer: in this post it is not my intention to analyze the positive or negative consequences of the actions of the WikiLeaks organization—there is plenty of that coverage, just check your favorite news reader every five minutes or so to see the latest. Instead, I want to explore the impact that the WikiLeaks brand name is having/will have on brands closely identifying with the word “wiki”, and analyze whether WikiLeaks will impact the acceptance of collaboration and transparency initiatives within corporations. My feeling? These are potentially dangerous days for wikis, collaboration, and transparency in the corporate world. What makes this case particularly interesting is that, according to Wikipedia (of course), as of this month the WikiLeaks website isn’t even based on a wiki anymore. 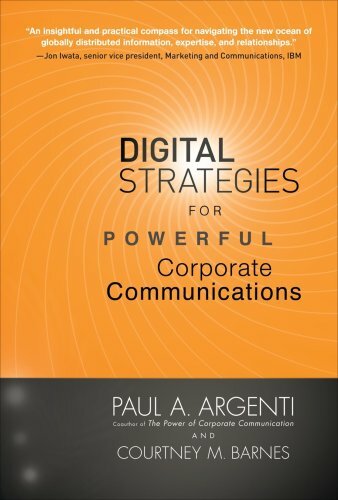 I recently finished the new book Digital Strategies for Powerful Corporate Communications, by Paul Argenti and Courtney Barnes. I must admit, I’m allergic to many Web 2.0 books. This book does have some of that social media handbook feel, but I was excited about it because co-author Paul Argenti, a professor of communications at Dartmouth, is someone whose ideas about communications have really influenced my thinking over the past few years. Paul was one of the masterminds behind The Authentic Enterprise, a whitepaper that may be one of the most compelling looks into the future of the communications field I have ever seen. I’ve written about it previously here, here, and here. This paragraph does a nice job illustrating what we might define as the democratization of corporate communications. Any person communicating about any company at any time. A company’s own communications professionals can no longer expect to be the only communicators of the brand message. Employees are communicators. Customers are communicators. Even former employees and former customers can now communicate on behalf of brands. Scary stuff or exciting stuff, depending on who you are. In a world where everyone is a communications person, everyone needs to be on brand. 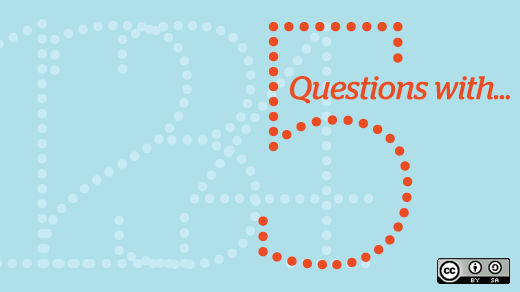 Today, we ask him five questions about where the future of music intersects with the open source way. 1. One of the beautiful things about the open source software revolution is it lowered the barrier to entry for developers who wanted to create useful software. Meaning, without going to fancy schools or working for big Silicon Valley tech companies, people in any part of the world with any level of experience could contribute, and if their code was good, they were in. Is the barrier to entry for artists trying to make it in the music industry getting lower too? It sure doesn’t feel like it sometimes. I think the barrier to entry to write or make music has always been pretty low. Provided you can learn how to play an instrument, you can write songs. The encroachment of technology into every facet of music making has lowered this barrier even further. An entire album can be recorded at great quality in a basement with a Mac and some bundled software. DJ equipment isn’t even needed anymore — you can do it all on your Mac. 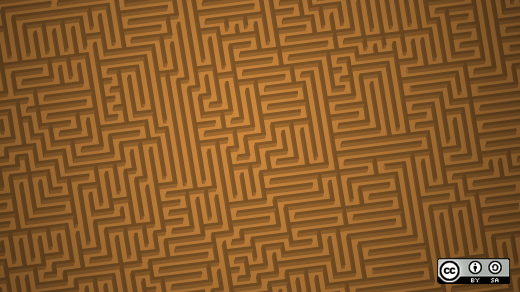 The challenges have always been around marketing and distribution, and the internet changed all that. Anyone can launch a site or a myspace page and offer downloads of their music. In 2008, more than 38,000 new records were released. This was the most ever. Becoming commercially successful by selling music or touring has never been harder, and that is because fewer people are buying music and consumers have more entertainment choices than ever before. So while it’s easier to make music, it’s harder to make a living making music. Mr Conductor sez: we can make beautiful music together! Ah, the good old days. It used to be easy to go to the “official company spokesperson” to get the scoop on what “the company” was thinking. Now, with the advent of Facebook, Twitter, blogs, and a bunch of other stuff that probably hasn’t even been invented yet, and the blurring lines between people’s personal and work lives (damn you, Google! ), it’s a lot harder for us communications folks to stay in control of how the corporate message comes out. If you are the head of communications for your company, what should you do? Lock all the doors, scare the employees into online silence, and continue the status quo? This is what some companies are doing. There are very real concerns with how and when employees use social media tools in a work setting. The most compelling brands in the world tell compelling stories. Whether the brand is Nike (the Greek winged goddess of victory was named Nike, and it all rolls from there) or IBM (Thomas Watson and THINK) or [your favorite brand here], the most interesting brands have great mythologies built up over time. 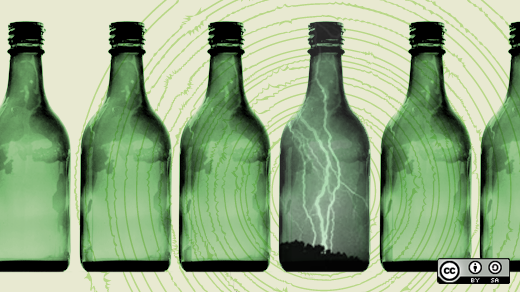 The brand story is deeply ingrained in their actions, voice, look, and culture. It’s been almost eight years since we created the first Red Hat Brand Book. The original book was an attempt to capture the essence of our Red Hat story, to explain what Red Hat believes, where we came from, and why we do what we do. It had a secondary mission as an early brand usage guide, explaining what Red Hat should look and sound like at a time when the company was expanding rapidly around the world and brand consistency was becoming harder to achieve. When most companies create this sort of document, they call it a “Brand Standards Manual”, or something like that. But we were young, foolish, and drunk on the meritocracy of open source, so in the first version of the Brand Book, we emblazoned the words “This is not a manual” on the front cover. Why? We wanted to be very clear this book was the starting point for an ongoing conversation about what the Red Hat brand stood for, looked like, and sounded like, rather than a prescriptive “Thou shalt not…” kind of standards guide. I hate brand standards that sound like legal documents. I’ve always felt like the role of our group was to educate and inspire, not to police, and we tried to create a document that embodied that spirit. Last week a colleague told me IBM had reorganized it’s marketing and communications functions. In the new order, the entire marketing organization would report into communications. Typically it has always been the opposite, with brand groups like mine and public relations reporting into a Chief Marketing Officer. Until recently, that’s been the way it worked at Red Hat too– over the years I’ve worked for mostly VP of marketing or CMO-types (although now I work as part of a group called People & Brand, a subject I’ll save for another post). So I spent some time thinking about what this change meant for IBM, why they were doing it, and did a little research online. In the process, I stumbled upon this report from the Arthur W. Page Society entitled “The Authentic Enterprise.” Turns out that one of the co-chairs of the Authentic Enterprise task force was John Iwata, the SVP of Communications for IBM. My guess is that this report, which came out in 2007, had significant impact in making the changes at IBM. Thought I’d call out a few choice quotes from the report that I loved. Now I knew where this idea came from. But I kind of thought I had already drunk the Kool-Aid– that’s why I left the security of IBM to join this crazy company after all. What I learned over the next few years is that everyone tastes the Kool-Aid a little differently. Red Hat meant very different things to different people, even if they all thought they were drinking the same Kool-Aid. I learned what I didn’t know very quickly… but I learned it on my own.